As it turned out, an animated adaptation of SideM has all been confirmed to be green-lit. As per discussion, feel free to express your thoughts, speculations and any reservations. WOW. A rhythm (hopefully rhythm) game AND an anime? I figured it would be one or the other, but to get BOTH at the same time is such a neat surprise. I'm so happy with all the decisions Scamco has made with SideM, definitely makes them less of a scam in my heart. Nonetheless, there will be a NicoNico broadcast on 3/15 (for 315PRO) where they'll discuss the production staff and show some key visuals, so I really hope we'll see the other idols in this new art style! I'm also curious if they'll focus on a core twelve ~ fifteen like CG and ML or if they'll try for all of 315PRO. Pretty sure y'all already noticed this, but if you go to the SideM anime homepage and look at the source code, you can find Takahashi-satchou's silhouette! 315Prez is recruiting Producers and trying to find out which one is the best P to be part of 315Pro. At first, I was aggressively against the idea of SideM getting an anime before Million Live. In fact, the mere idea made me furious. However, over time, I came to accept the fact and realized that all it would do was delay a Million Live anime rather than outright cancel it. Plus, this gives me a better opportunity to get introduced to SideM alongside the new Live on St@ge game. So bring on the era of male idols, I say! Is that confirmed and is there a source for that? Apparently GamiP found a producer and staff willing to make a SideM anime a reality. A producer and staff could still be A-1, but at the very least new info will be coming out soon. Honestly, I feel like that's the best-case scenario. SideM and Million Live running at the same time under different studios would be an interesting experiment. If anything, I'd actually have more than one anime to watch during a season. I think Sunrise would be a great choice since Love Live! Sunshine!! Season 2 was announced for a Fall release. Maybe SideM will air in the summer and then they'll be able to rake in both male idol fans and female idol fans! 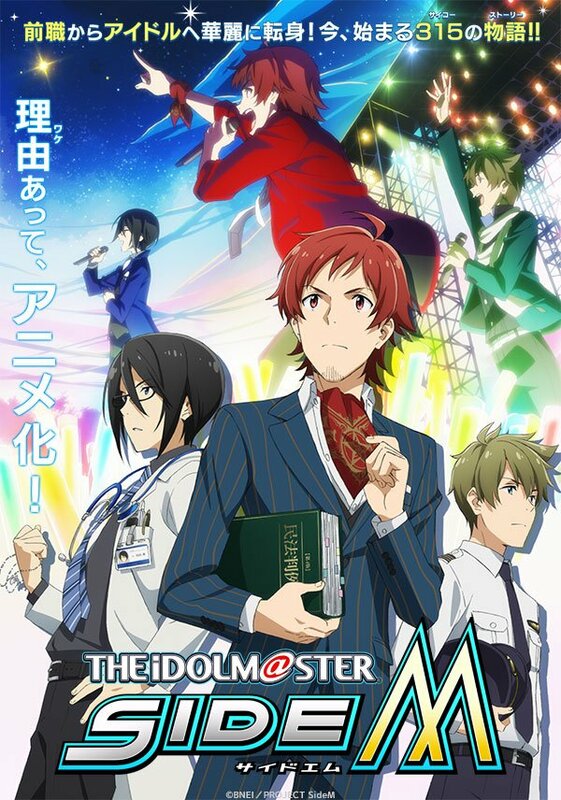 A-1 Pictures will be in charge of the SideM anime, so it really does seem like Million Live won't get an adaptation this year, unfortunately for ML fans! Pretty much knew it, since Risa Taneda is on hiatus. I think they wanted all the voice actresses present for all the recordings.